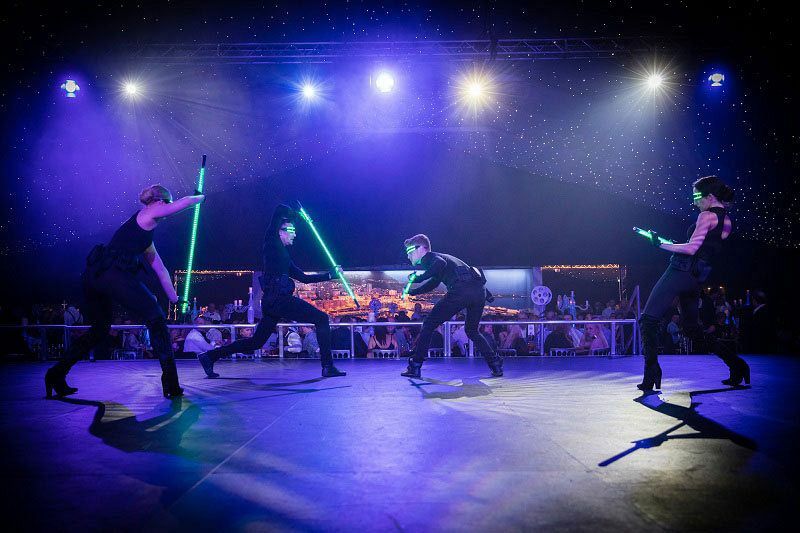 For an exclusive Christmas party night in Bristol that will transport you to space and beyond, then this incredible ‘Journey to the Moon’ themed party is the perfect choice for those looking to experience an unforgettable festive celebration in 2018! Situated at a top venue in Bristol, you’ll enjoy a warm welcome on arrival from the weird and wonderful alien type creatures, who will show you into this mysterious and glittering setting that’s simply out of this world! 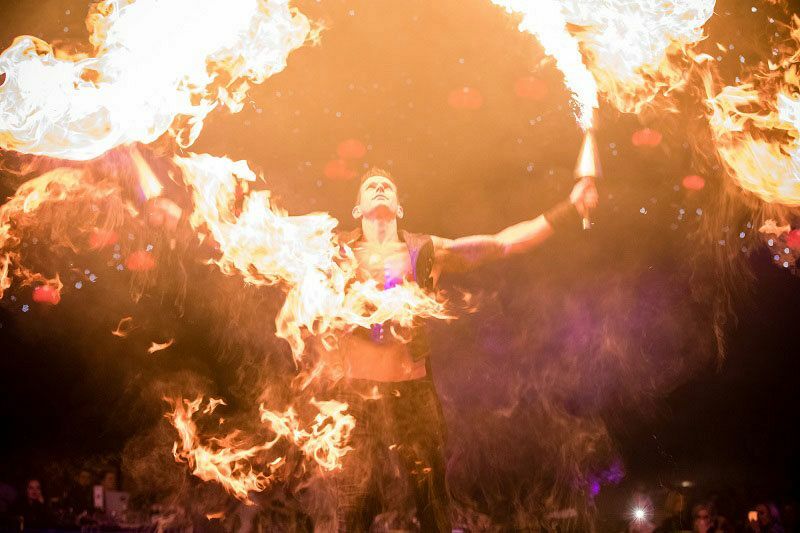 Enjoy a selection of mouth-watering hot and cold canapes as you’re treated to the sights of the fantastic aerial acrobats who will keep you entertained with their jaw-dropping moves! Get stuck into a sumptuous three-course gourmet dinner that will provide each and every guest with full and rich flavours with every bite! 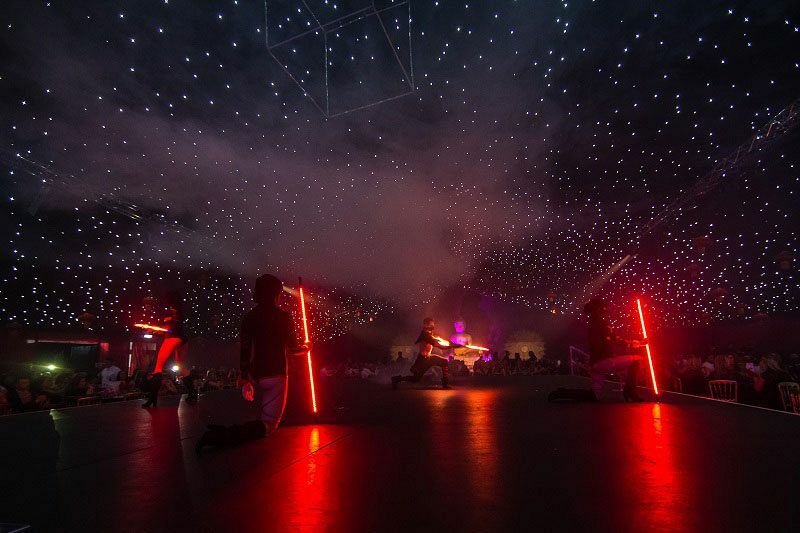 Created on-site by the outstanding hospitality team, you will be guaranteed a dining experience under the galaxy that will delight and satisfy! Gaze up in wonder at the starry sky as the spectacular rocket ship orbits amongst newly discovered planets as you dine. 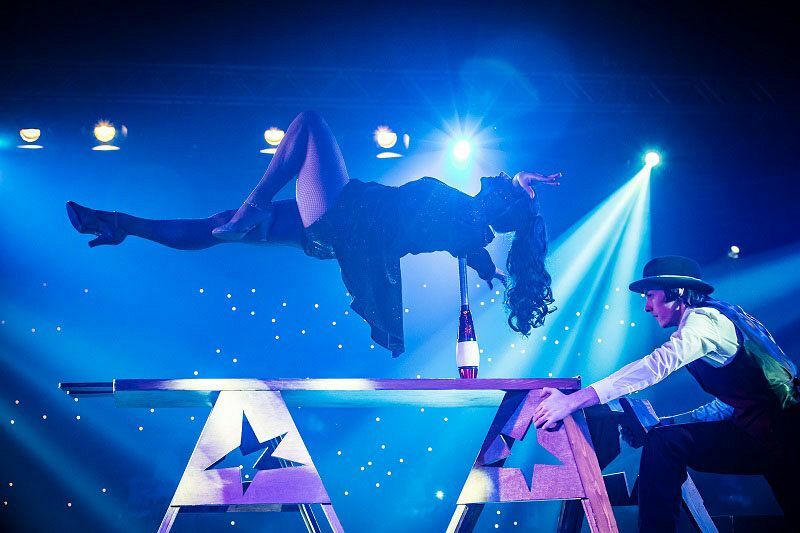 Look forward to yet more entertainment during your meal as the exceptional aerialists will perform an amazing set for you, which will leave you wanting more. The spectacular show comes to an end with the dazzling finale that will leave you speechless! A delicious cheese buffet will be served after dinner along with Fairtrade tea and coffee. The evening shows no signs of slowing down with a visit to the glamorous casino where you’ll be able to take a flutter and party the night away on the state-of-the-art dance floor. Treat yourself to a tasty survivor’s breakfast and refuel before you make your way home from what’s been an incredible night! Book your exclusive ‘Journey to the moon’ party in Bristol today to secure your preferred dates!